Today I will share to you the adrenaline that Mt. 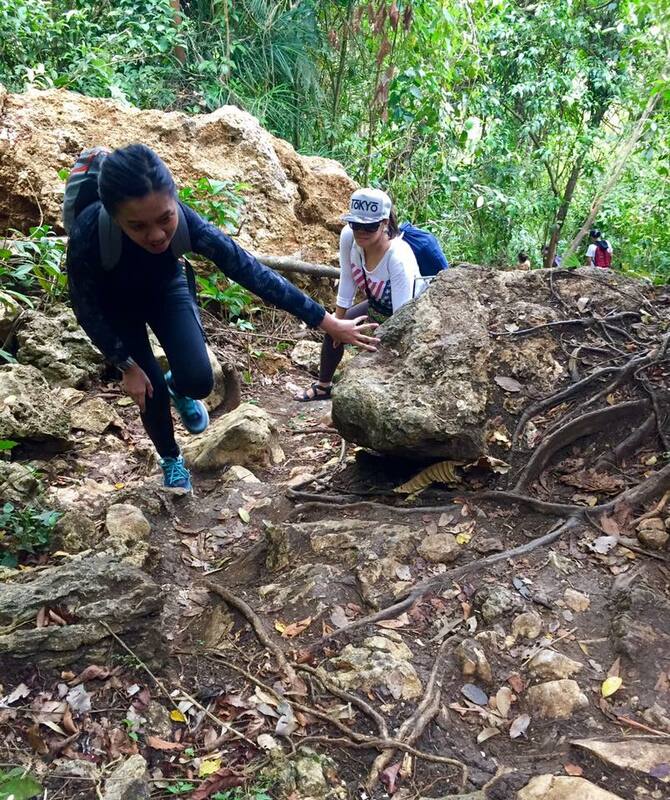 Daraitan climb offers together with the relaxing Tinipak River and the wonder of Underground Cave. Hope you'll enjoy this post. Let the Mt. Daraitan Climb Begin!!! Mt. 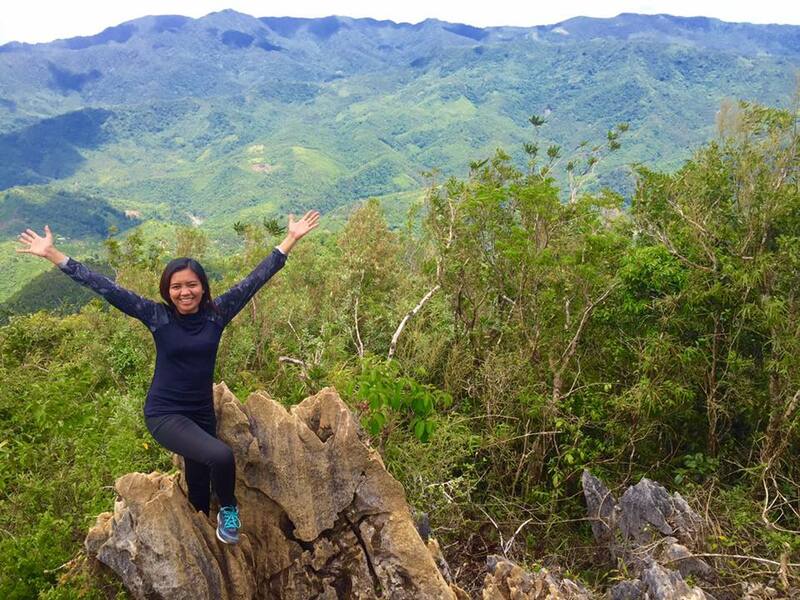 Daraitan can be considered as Tanay's hidden paradise. It's was among my Top 3 Dream Mountains to hike that includes Pico De Loro and Batulao as well. What separated Mt. Daraitan is the side trip you can do after hike like the Tinipak River and a visit on the Underground Cave. For the details, instructions how to go, itinerary and expenses breakdown please go to my personal finance blog SavingsPinay. Post title is Ultimate Guide to a Mt. 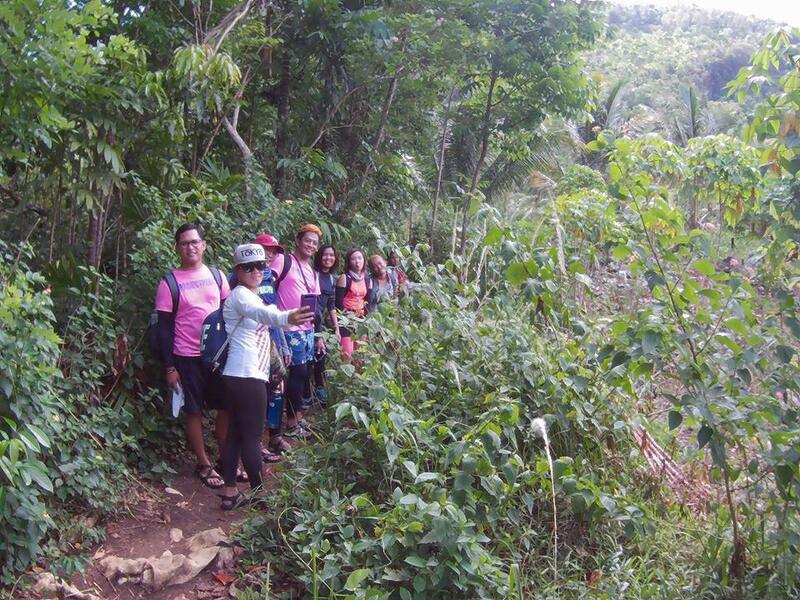 Daraitan Day Hike. Our meet up place of choice was Mcdo Starmall Shaw because it's where the jeepney's going to Tanay are. 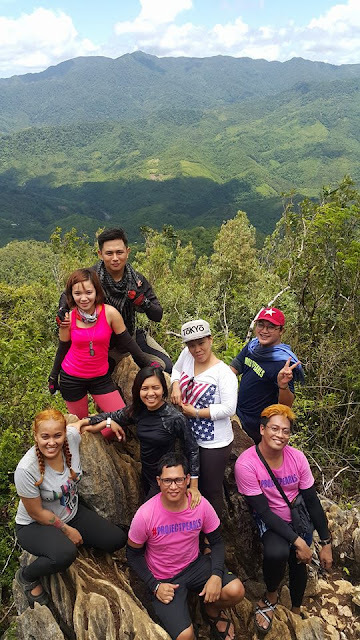 I was still with the three of the people from my first hike, Jevi, my highschool classmate and the one who inspired me to try hiking. Her boyfriend Norman which as always is the reliable one and Ate Gigi who's very fit mama na walang inuurungan. The other four were friends of Jevi from work I believe which soon became my friends too. We were 8 all in all and had a lot of fun during the climb as well as the time at Tinipak River. 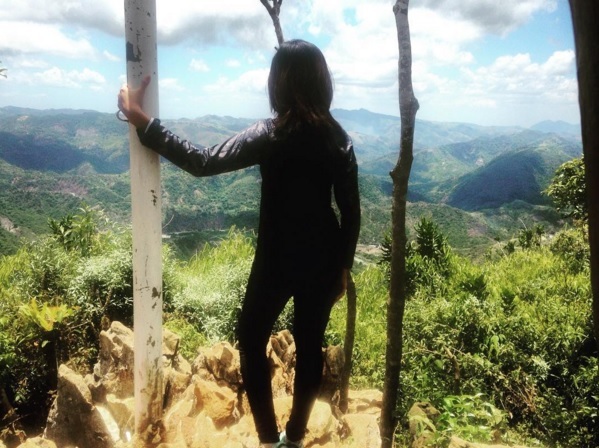 You can read Jevi's own travel adventure blog HERE too. We were able to scout a jeepney that will drive us to Daraitan Barangay Hall already for 200pesos each. This is a good deal because we don't have to change vehicles saving us both effort and money as well. We were also together with four climbers to fill the jeepney up. The travel from Ortigas to Tanay is about 3 hours without traffic since we depart by 5:30am. It gets curvy once you reach the Rizal area and dusty near Daraitan. You also need to pay 50pesos (this is per vehicle and not per person) as an entrance fee. 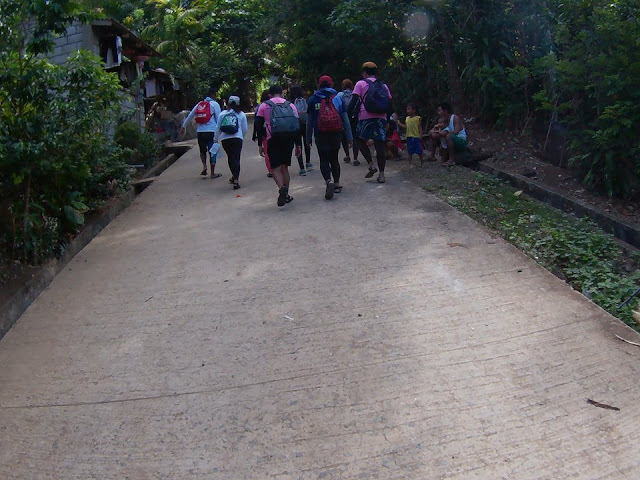 We were already at Barangay Daraitan by 8:30am. We were surprised seeing so many groups at the Daraitan Barangay Hall registering. Since there's pile of people at the Barangay Hall we decided to have our early lunch first at the carinderia near the barangay hall. Registration costs 20pesos for the environmental fee. Then you may rent a head light for 30pesos to use at the underground cave adventure. It will be nice if you bring flashlight with you to save some money. 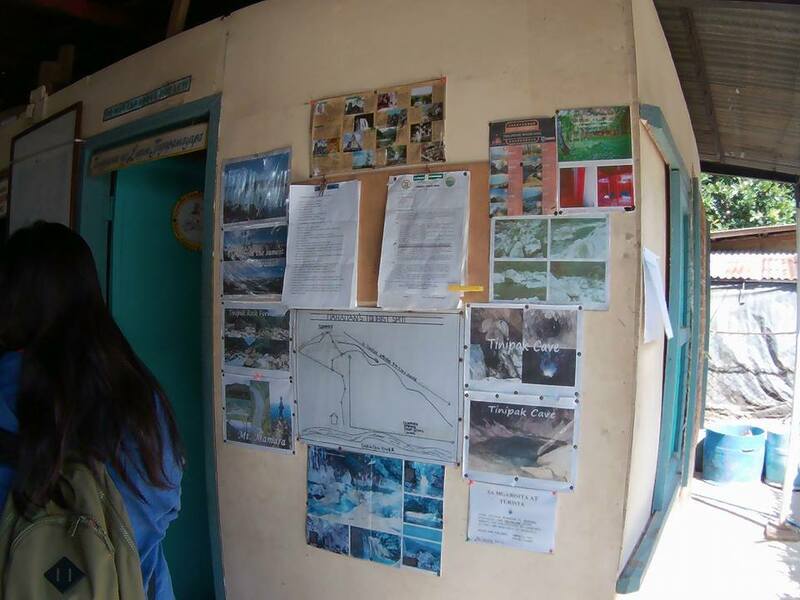 Then I believe a Tour Guide is mandatory because the Barangay Hall Official will point you to your Tour Guide. 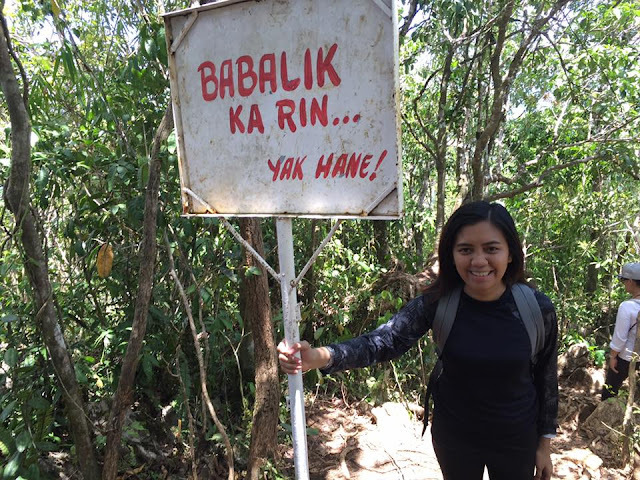 Tour Guide fee for a Day Hike costs 500pesos and for an Overnight Hike 1,000pesos. Our was Kuya Paul John Daz and he is an amazing Tour Guide. Definitely recommend his service and will probably ask for him if ever I plan to come back to Mt. Daraitan. After a 5-minute seminar headed by Kuya Paul John we get started with our climb. Of course we offer a prayer first and foremost for guidance on our way. Mt. 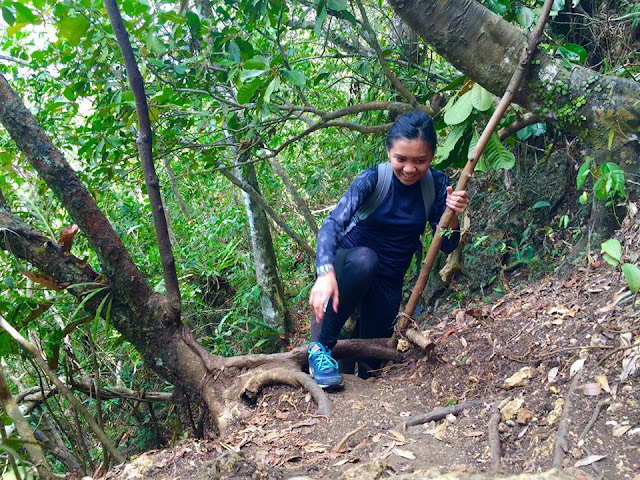 Daraitan is not an easy climb if you its your first time. It was 70% assault making reaching the summit more difficult. It is composed of three stations and a lot of resting place where locals sell buko salad and cold beverages. I have no problem with climbing up at Mt. Daraitan and I honestly found it faster than Mt. Manabu. 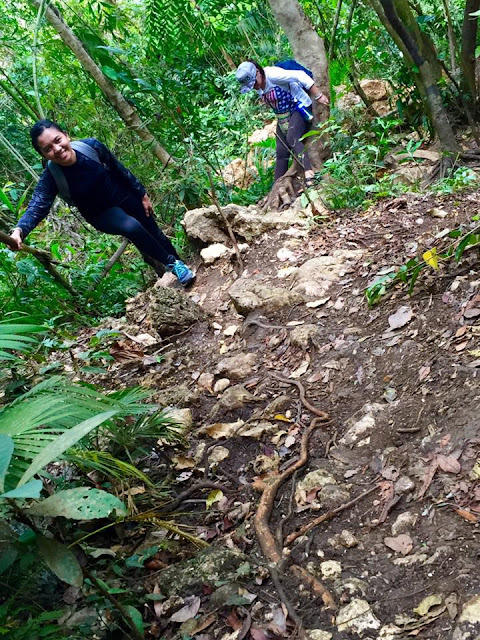 Norman told me that its because the trail is pure assault so its way faster to climb. I about two hours we were already at the summit. Sadly we weren't able to take a photo on the best spot at the summit because the there's a long line waiting for the perfect solo shot at the top. Instead we opt on the side rock formations (which are great too). Yak Hane sa pagbalik ko dito!!! After summit our next trip is Tinipak River. 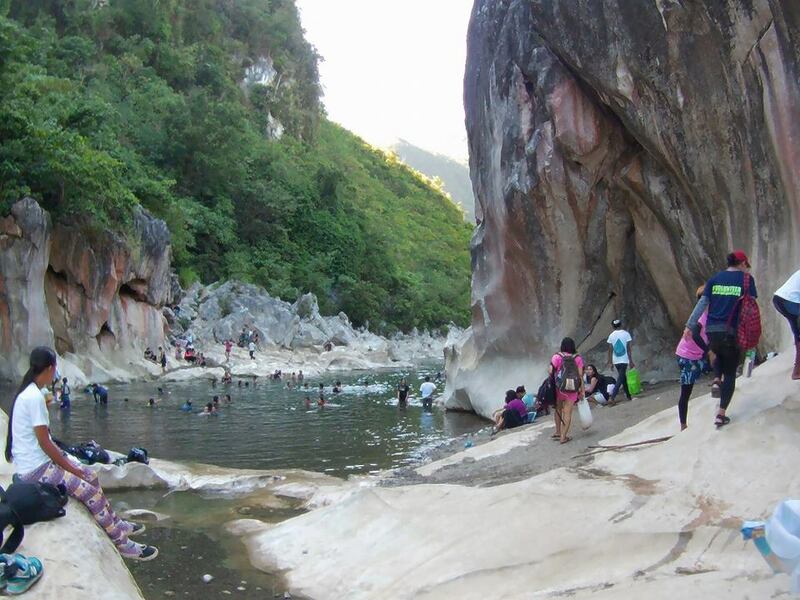 Now I have to say its way better to go to the Underground Cave first before swimming at Tinipak River because you'll be lazy already to get out of the water. On my next visit it will surely be Daraitan-Underground Cave-Tinipak instead. 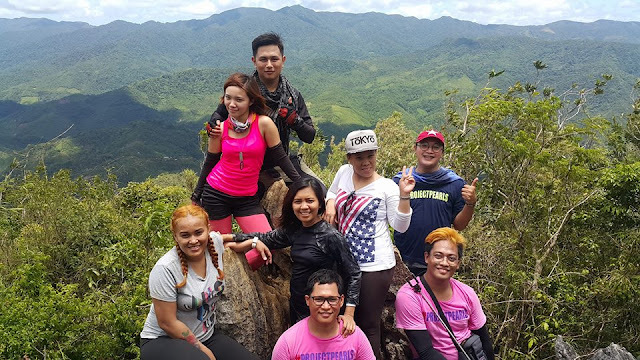 Anyhow, Tinipak River is about less than an hour hike from the Mt. Daraitan summit. 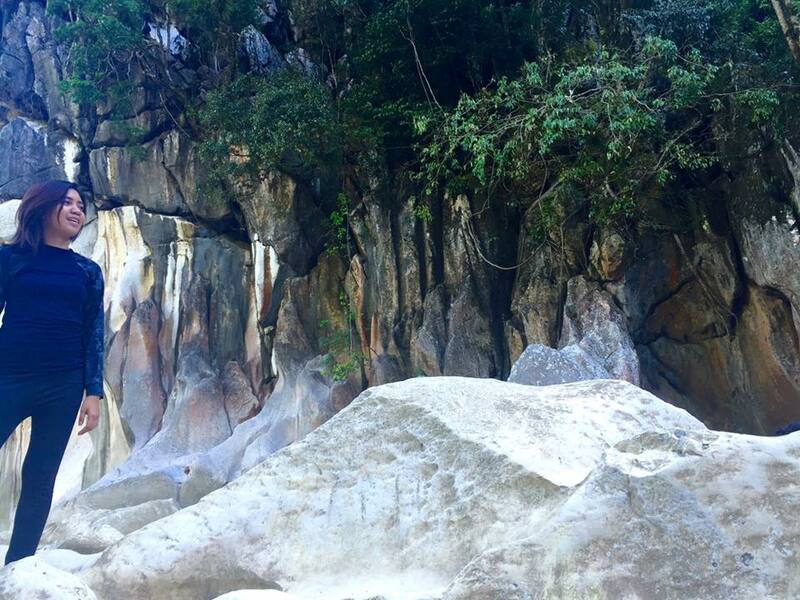 The way is harder though and you will really go inside big rocks and step on ladders made out of kawayan. You'll experience pain in almost every part of your body but it will be all worth it once you see the beauty of Tinipak River. Tinipak River is such a majestic place with big white rock formations and flowing crystal clear water. There's a side that the water is like a jacuzzi because of the strong current and another side where you can just swim and relax. 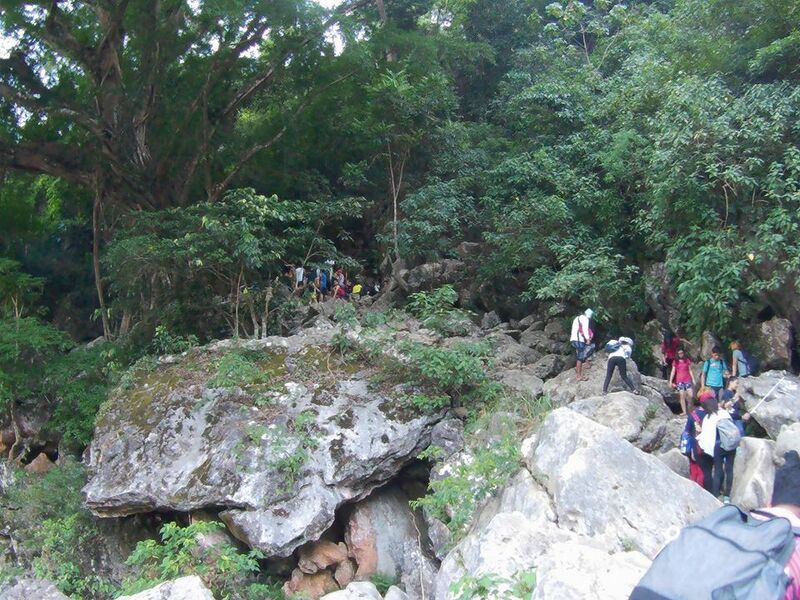 The way going to Underground Cave. Find me!!! To go to the Underground Cove you need to take some more steps and cross another bridge made out of kawayan. Its scary actually because if you fall you will be falling on big hard rocks. The Underground Cave gives you a glimpse of the famous Palawan Underground Cave. 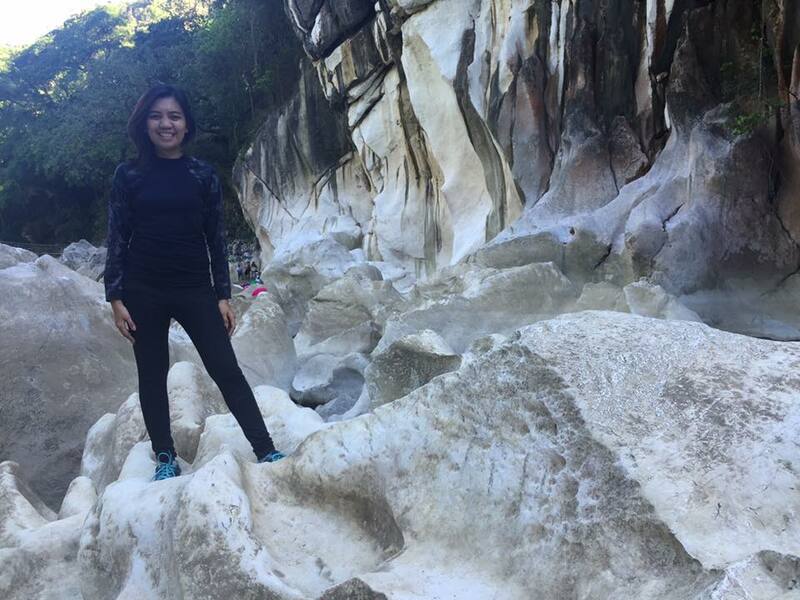 There are stalactites, stalagmites and other cave features plus a very cold spot where you can dive in. It was a quick tour from the inside that will surely wrap up your adventure. Our last stop before heading home is to have dinner at the local carinderia available in the camp site. I didn't enjoy the food honestly and the next time I'll go to Mt. Daraitan I'll most probably eat at the Barangay Hall instead where Lomi and Goto houses are available. The way back to Barangay City Hall is the easiest because the road is sementado and half way you can ride tricycle for 10pesos only. I honestly enjoyed my Mt. 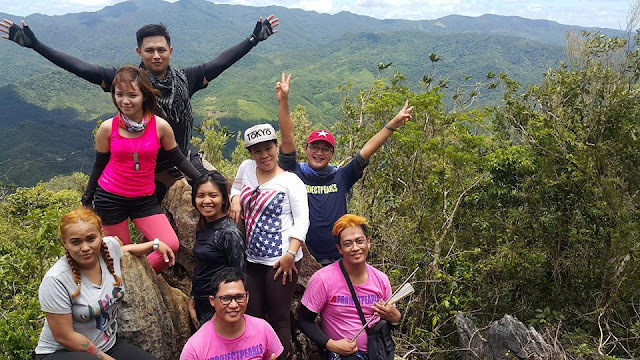 Daraitan + Tinipak River + Underground Cave experience. It was so unforgettable and its one place I'll surely be back. 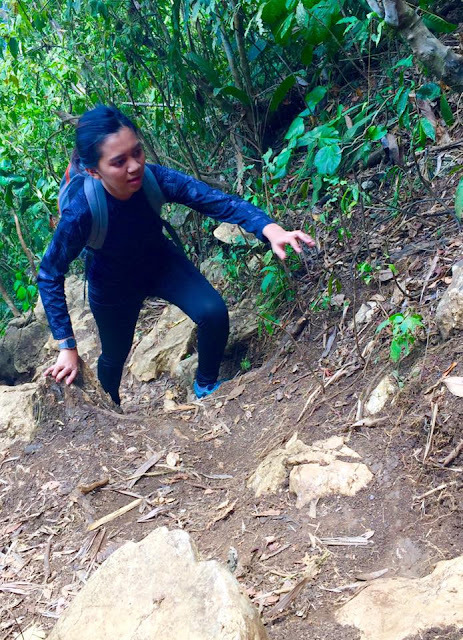 I didn't know I'll be this addicted to hiking and right now as I'm writing this I am also researching for the next possible hike probably on May or June. If you ever you read this travel diary and want to know a possible itinerary and expenses for a Mt. Daraitan Hike please visit my personal finance blog SavingsPinay. Thank you so much for checking my blog. Maybelline Creamy Matte in Vibrant Violet Review - New! Paintbox by Bench Bronzer and Highlighter Stick Review - New!